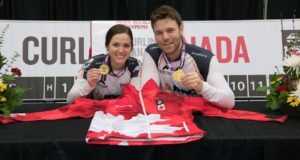 Laura Crocker and Kirk Muyres will be wearing Team Canada jackets at the world championship in Östersund, Sweden, after defeating Kadriana Sahaidak and Colton Lott, 8-7, in the finals of the 2018 Canadian Mixed Doubles Championship today in Leduc, Alta. 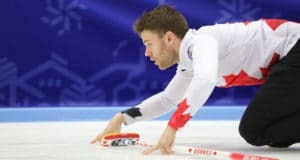 This week, John sits down with Taylor McDonald, who at just 23 already has a pretty sterling résumé, having won a pair of World Junior and CIS-Curling Canada Championships. 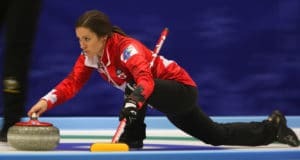 Taylor is also featured in the latest Women of Curling Calendar raising money for the Mental Health Foundation and will be playing in the 2016 Canada Cup in Brandon, Man., next week. Brendan Bottcher and his team from the University of Alberta finished off the round robin in winning form and are headed for the semifinals at the 2013 Winter Universiade in Trentino, Italy. 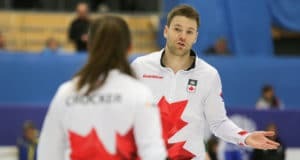 With two wins on Monday, Canada’s Laura Crocker is getting closer to notching a spot in the tie-breakers at the 2013 Winter Universiade in Trentino, Italy. 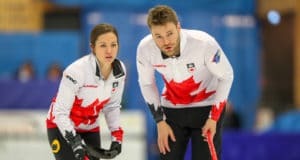 Team Canada men and women had a perfect day at the 2013 Winter Universiade in Trentino, Italy, as the University of Alberta’s Brendan Bottcher and Wilfrid Laurier University’s Laura Crocker cruised to victory in Day 4 round robin play. 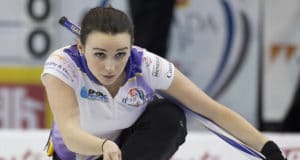 Laura Crocker and her Wilfrid Laurier University team continue in the hunt for a second win after losing to Great Britain’s Hannah Fleming 7-5 in morning action, then dropping an 8-5 decision to Anna Sidorova of Russia in the evening draw.